What an album. It goes for big money (CD), and it took me a long search to get it. This is probably Eddie’s best album next to Vamonos. Buy it if you see it. Listen to the the last 2 minutes of the track ‘17.1’, the last track on the album......you could easily miss those last two minutes....but oh my god how fab those two minutes are. Indeed, he did the same track, under a different name with the same outstanding break on ‘live at sing sing volume 2-the last track on that album as well. Any way, the whole album is a classic. 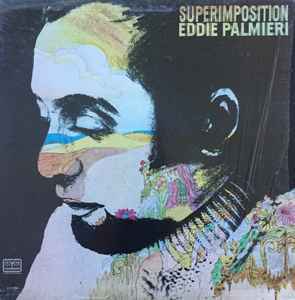 A real scorcher from Eddie Palmieri -- as much a transition as a superimposition -- and the kind of record that would have a huge impact on Latin jazz in the 70s! Eddie's got one foot in the small group styles of his 60s work, but he's also reaching forward in a mode that's rootsy and modern at the same time -- a back-to-basics approach that's tremendously focused on the rhythm, and which mostly uses heavy percussion and piano to lay out the grooves -- then tops them off with some jazzier riffing on brassy horns. Eddie's piano is sublime throughout -- crackling with life and energy that barely made it onto record before, and hitting notes that are modern, yet which sit comfortably next to the earthier grooves of the rest of the band. Ismael Quintana's on lead vocals. Wonderful standout track is "17.1".